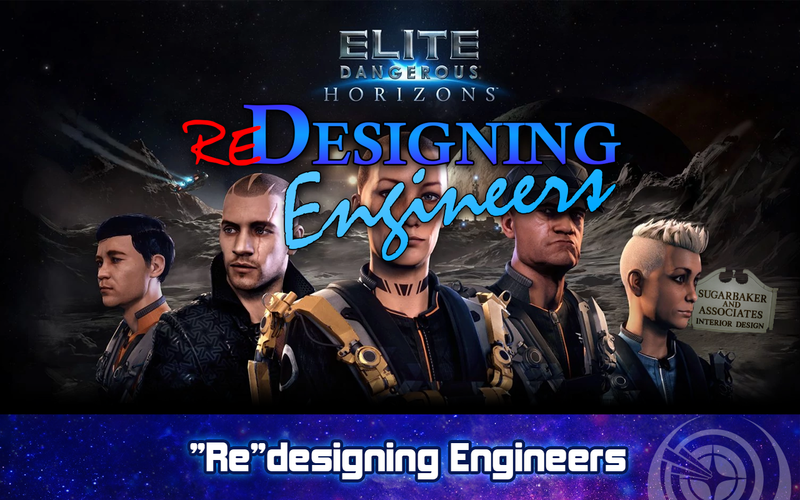 This week we bring you all the latest news from the world of space sims from the Flight Deck, as we cover Elite: Dangerous’ redesign of the Engineers, then we head into the deep black with Galactic Public Radio. This week, CMDR KineticImpulser teaches you rooks a thing or two about power management in Nuggets for Nuggets. Then we continue our audio adventure, Guard Frequency Origins, as our pilots get ready for their first mission together. And finally, we tune into the Feedback Loop and let you join in on the conversation. Wonderful show everyone. Lasers, Bullets, and Jams O MY! Great stuff guys! Would love for you to extend your tabletop adventure to the SC universe at some point! I’ve already called dibs on GMing the Star Citizen version of Guard Frequency Origins! Really enjoyed the show guys. Good thing you got those 1s out of the way before getting to your ship. There’s lots of embarrassing buttons in the cockpit to bump. Jettison cargo, boost in station…dump core? Of course, that also makes things more fun for the DM. Awesome show! I’m loving the new format. Although I don’t play ED, I’m really looking forward to more of your RPG campaign. Will ED have an immersive first person mode at some point? It’s one of the main reasons I backed Star Citizen. Anyways, keep up the good work, it’s been highly entertaining.